1 Set/Sets or as your request. One 40'Open Top Container, Wooden pallet or as your request. Within 35 days after the prepayment. 8 Set/Sets per Month or as your request. It can provide gabion mesh products for domestic companies for various kinds of construction items. The gabion products are commonly used to drain water course to protect and support roads, railroads, airports and residential areas, for coastal protection etc.The gabions can be build retaining walls, river bank protections, weirs, etc. 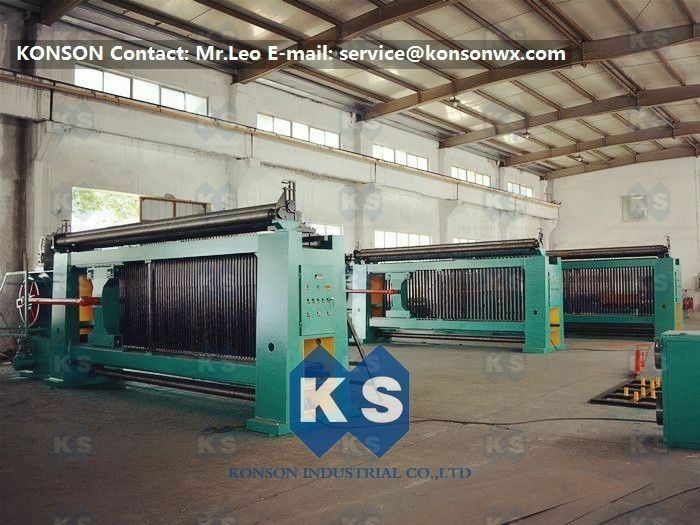 At present our company possesses four assembly lines of heavy series hexagonal wires nets. A11. KONSON offer better after-sale service. We can provide 12 months guarantee for all the equipments, we will arrange our engineer to install the machines in your factory and teach your workers how to produce, we will also send accessories and spare parts without any cost. 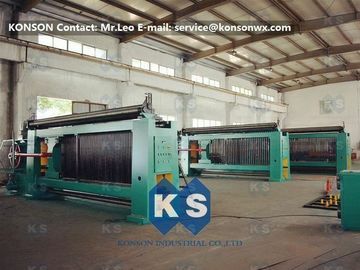 The series gabion mesh machines have been designed to make gabion mesh of various widths and mesh sizes. The possible coatings are heavily galvanized and zinc. For high corrosion resistance, zinc and PVC, galfan coated wire is available.